Everyone wants to be able to brew the kind of coffee that others drool over. With a bean to cup machine you’ve got it made. It will coax every bit of flavor and rich taste from the freshly ground beans into your cup. Breakfast or evening break, you will never need to settle for a cup of indifferent coffee again. Remember there are several kinds of models available in the market which can brew a cup of coffee from the beans. Size, color, design, sophistication, even price vary depending on the manufacturer as well as the quantum of coffee you need to get brewed at any given time. Even the total number of cups that you need to brew on an average during a day will define whether you choose a simple, domestic use model or a highly sophisticated commercial one. If you only want to use your machine to brew coffee for yourself and your family or the occasional guest, then you would do well to limit yourself to a standard espresso machine. Unless you are a coffee aficionado who needs specialty coffee at all times, investing in a high end beans to cup machine might not make sense. For one, they are rather pricey. For another, a rule of thumb with all equipment is that the more sophisticated it is, the more easily will it break down at the psychological moment. Of course, makers like Necta and Jura take pride in using exceptionally high quality and sturdy components. In fact, Jura coffee machines are a by-word for sophisticated technology. If you use fine ingredients, you are assured of getting various kinds of specialty coffees like mochas, café latte, cappuccinos, espressos and Americanos just at the push of a button. It is as easy as ringing the bell of your home! You can mint money when you own a coffee shop or even have a strategically placed coffee machine in London. This is due to the fact that there is a demand for coffee regardless of the weather. Most people realize that placing a coffee machine just outside restrooms or in the lounge of a hotel ensures regular off take. However, few enough realize the business potential of placing one in the lobby of a large residential society or of a multi-storied building where you have offices, commercial outlets and private residences. There would be all kinds of people visiting them and quite a few of them would be appreciative of a steaming, fragrant cup of coffee. Depending on the prospective customer profile, you would need to decide whether to set up the kind of machine which brews a fresh cup of coffee from beans or the kind which uses instant products. 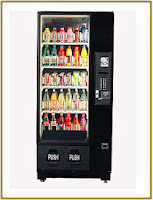 Your best bet is to opt for the kind of vending machine in London which will dispense a variety of products. Depending upon your location, you would want to take a call on whether you want to stock only snacks and various kinds of candies and confectionery or which kinds of drinks and beverages you want to stock. Of course, your budget would dictate the kind of vending machine you would want. This is because there is a significant price differential in a vending machine which can dispense only 5-6 kinds of products and the kind of machine which can vend up to as many as 30 products. The machines which dispense only snacks or only cold drinks will be more affordable than the combo ones which will vend both snacks and drinks. If you are placing your vending machine in an educational institution, a combo machine would be your preferred option, since the probability of it recovering its initial outlay quickly will be high. Teachers and students alike need refreshments. You could also look at options like rental or leasing, if you are uncertain of how much this business will recover initial costs or how fast. Your location will dictate the product mix which fetch you the maximum returns. For example, if you are placing it in or near a gym, then you should stock only healthy snack and/or drink options. Energy drinks, fruit juices, fruit chunks or slices, vegetable juices, yogurt, trail mixes would be some of the preferred options. Ensuring that your customers and staff get excellent coffee round the clock is a piece of cake when you install coffee vending machines like the Darenth Refresh 1400, N&W Astro or Kenco’s K Bar. They are durable, flexible, easy to use and offer a wide range of hot drinks. You can assure yourself that the most complete range of hot drinks ingredient solutions in the industry when you have one of these. You can stock them with the full range of Kenco branded drinks including Kenco Really Rich, Kenco Really Smooth, Suchard Hot Chocolate, Cappio Cappuccino, PG Tips and Knorr Soups amongst others. 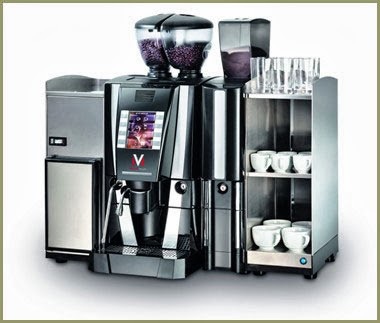 High capacity automatic bean to cup coffee machines such as the Zion and the N&W Kobalto are useful for businesses of all sizes, in all industries; even schools, offices, factories, hospitals and coffee shops. Since they are very easy to maintain, with minimal cleaning required, they are perfect for offices, meeting rooms and reception areas. They are stylish and boast a number of outstanding features. If you need to serve snacks as well, you could take a look at some of the combo models. When you deal with vending machine suppliers, look for people who have tremendous experience and understanding of the market place. Since trust is key to the success of the venture, check with other people who have bought from them to know that you are on the right track. No two vending machine suppliers are the same and service levels differ dramatically in the industry. There are some major brand name companies whose service is known to be exceptionally poor and there are smaller companies whose service is excellent. A good vending machine supplier will go through all payment options available to ensure you receive the most cost effective solution. When you find a good supplier who will help you save money and get the kind of quality vending machine you need you know half the battle is won. When you get the right machines from the best machines suppliers, your business is set to flow smoothly. It’s also valuable to be aware how long it takes a supplier to administer an order for the consumables. Knowing this, you can make a firm plan for supply and demand. However, some suppliers require you to purchase a fixed quantity. In that case it’s a great idea to have a good store room. Some companies might offer a better price if you acquire a sure quantity at one time. For example, reductions can go up to 20%. Food and beverages are basic human needs which take on special connotations, especially when you are outside the home. For those who need to spend long hours outside the home, it is vital to be able to get something to eat and at affordable prices without posing health hazards. Street food is popular in some countries, but most western countries prefer their food and drink to be properly packaged and served under hygienic conditions. Vending machines which serve various kinds of snacks and drinks are a godsend for such people. 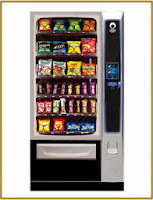 So whether you are looking for a new avenue of business or need to provide food and beverages for your staff, vending machine rental is actually an excellent option. The biggest advantage of rental of any high cost product is obviously the lower outlay required initially. Vending machines are frequently stocked by the company that makes them available for vending machine rental, such as the soft drink giants like Pepsi and Coke. The products that are placed in the vending machines change from time to time because all products may not be available. The companies that provide vending machine rental frequently maintain relevant statistics such as the popularity of the items at a specific location or time of the year. They may change the items from time to time in the vending machines to match the need of the customers. Just remember that the key to being successful in vending machine rental is choosing the best location for your machine. In case of offices, if you are holding seminars or conferences it would not be possible for your buy another machine and in that case coffee machine rental comes in handy. You can rent a coffee machine for the time period making coffee machine rental the best option for such needs. The purpose of providing the coffee machine on rent is that people could try it for whatever time period they would like to. It can be taken on rent at least for one month, while the maximum time period is unlimited. You can even have it on rent for months or years. If after having it on rent for long, if you intend to purchase it, you really get huge discounts on it. The best thing of having these machines on rent is that you don’t need to worry about its maintenance and wear and tear. All these things are well taken care of by the company or the one who provides the machine on rent. All coffee lovers have their individual preferences as to just how it should taste. The smart thing to do would be to hire or buy a cappuccino coffee machine for your office or home wherever you really want it. A traditional cappuccino requires an espresso shot of coffee in the bottom third of the cup, a third of the cup of hot milk, then followed by the remaining third of froth and topped off with shaved chocolate. If you don’t use a good cappuccino machine for the job, then you run the risk of making a weak coffee or a flat white. To enjoy better control over the cappuccino making process, it is better to opt for a semi-automatic machine. The Jura Impressa C9 is perfect for those who value fine taste as it is a super automatic coffee machine that packs in plenty of features to satisfy your coffee needs. Its unique auto cappuccino system option siphons milk from the thermal container and then combines it with hot steam to produce hot frothed milk for your cappuccino. What’s more, you don’t need to be restricted to only cappuccino. Should you desire it to be so; you can also enjoy coffee which is perfectly intense with a slight bitterness, without compromising on the quality. You can also add lots of cream on it as that is what the best part of an espresso is. It should taste better than other espressos that you have tasted. If a small bean to cup system is what you are looking for, then the Jura Ena 9 One Touch coffee machine is the one for you. It is ideal for a domestic setting or even very small offices, reception areas and small meeting rooms. So, when you want a cracking espresso or coffee as well as milk based drinks such as latte and cappuccino, just press the relevant buttons and this fantastic looking machine will do it all for you. It will complement even the most modern and contemporary office setting. It is one of the best in class as far as office coffee machines go. 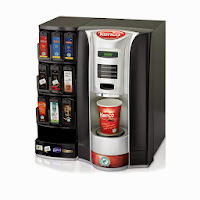 Ideally office coffee vending machines provide coffee for workers in an office environment by brewing a cup of any brand of delicious beverage in an instant. They also guarantee that you have a fresh tasting brew each time you want coffee. In addition to churning out fresh brew, a quality coffee vending machine will also ensure that the right quantity of sugar and cream are used per time to avoid inappropriate amount of sweetening or lightening substances. Few brews are as popular or have as much written about them as coffee does. This is because no two people like their coffee taste, flavor or even strength to be similar. Apart from that, even the manner in which it is brewed and the kind of ingredients which go into making a delicious cup of coffee tend to be the subject of debate. This is why when you choose a coffee machine in London you need to be wary of certain things. The first is obviously the quantity that you would need to brew at any given time as well as through the day. Then again you need to decide whether you want to make the coffee with instant products or with freshly ground roasted beans and fresh milk. You also need to take a call on what kinds of options you want to offer. Do you want to brew only coffee or do you also want to offer options for tea, chocolate and soup too? Ease of maintenance is another concern since you want it to last a while. Most important concern will be whether you need it for domestic or commercial usage. Whatever model you do opt for, make sure it gives you the best tasting coffee. You need a high class vending machine in London to dispense consistently high quality refreshments to your customers, visitors and employees. It is up to you whether you want a vending machine which dispenses only hot beverages or cold drinks or snacks or whether you want a combo model which enables you to offer food and drinks. The location may be as diverse as a corporate office or a public restroom or a bus terminal. Wherever there are people, the need to water and feed them will always arise. The one product your vending machine should always stock is water. You can offer options on still and sparkling or flavored water. More than sodas and fruit juices that is the one drink everyone needs. You might want to offer candy bars, potato chips, pizzas, burgers, sandwiches, soups or chocolates and various kinds of confectionary. As long as you match your product mix to your prospective clientele, you should profit handsomely from your vending machine. Even leisure sites such as gymnasiums, swimming pools and shopping malls as well as schools, colleges and universities are all perfect places for installing combo vending machines. 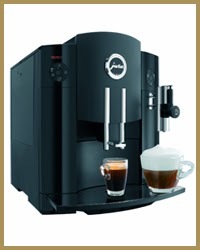 When you a Jura XS90 coffee machine you assure yourself of a sophisticated coffee service. Just keep in mind that it is built for gentle use. Like the rest of the Jura Impressa series it boasts of a highly sophisticated technology which helps you protect the environment and save money. If you plan not to use the machine for a while, you can use the built-in mains switch to shut off the mains power supply completely. This coffee machine prepares your specialty coffee with milk at the touch of a button without your having to move the cup. Whether you want a traditional café crème or a contemporary cappuccino, just take advantage of the really simple navigation that the design control elements assure you. Additionally, it has an adjustable coffee dispenser which allows you to modify its height to suit the cup or glass you place under it. The machine has two separate integrated heating systems to facilitate seamless, instantaneous switching from hot water to steam production as well as an active bean monitoring system. At 60 cups per hour, the Koro Espresso coffee machine justifies its existence in any office, meeting room, professional studio, small café, restaurant or shop which needs to swiftly offer a number of specialty coffees through the day. The options include espresso, cafe macchiato, decaffeinated coffee, café lungo, cappuccino, café latte, Americano, tea and hot water. You are assured of complete control and flexibility thanks to its advanced 16-bit advanced electronic control. You can choose from three models: Espresso, Instant and Fresh Brew Koro Expresso. 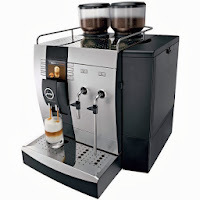 Its three canisters allow you to dispense up to 8 selections, including a decaffeinated option for the Espresso version which is the Z3000 Espresso coffee unit. Other benefits include a Sigma brewer for the fresh brew version; Necta mixing bowls and color coding of parts for easy maintenance. The hot water selection allows you to brew fresh tea or make a cup of hot chocolate. With a delivery area that is 24 cm high, you can place your favorite coffee mug under it without worry. Add to that it is easy to clean, service and to maintain Koro Fresh. When you get hold of a professional Koro coffee machine it’s like having a mini coffee bar at the push of a button. With stacks of choice this table top bean to cup coffee machine is like a pint sized café but not as expensive. Being able to serve snacks and drinks at the push of a button is no longer considered a luxury since snacks and drink vending machines can be seen all over the place. However, there has been mounting criticism of the kinds of health risks posed by the snacks and drinks being dispensed by them. As criticism of sugary sodas intensifies, Coke, Pepsi and Dr Pepper are rolling out new vending machines that will put calorie counts right at your fingertips. The other challenge posed for vendors has been availability of adequate space, since some of the larger vending machines can take up an entire wall and protrude significantly into the room. The new combi vending machines offer an ideal solution for sites with very limited space for vending machines. They can vend crisps, bars, cans and bottles from the same machine. The latest combo vending machines are portable and so small that their footprint will be roughly the same as a normal office cabinet. A prime example is the Bevmax combo vending machine which has a glass front snack and drink merchandiser ensuring a clear display of all products. It features vend sensors for guaranteed product delivery. For those who might prefer it, there is also a slim line selection model available. You can also try out the Snakky Max snacks vending machine. It is the kind of snack vending machine which offers 27 selections which can be showcased by its double glazed laminated product display window. You can stock up to 344 products given its capacity. With a dimension of only 735mm x 855mm it boasts of an extraordinarily compact footprint. Its great flexibility makes it ideal for banking alongside other vending machines. The optic delivery sensors ensure that you don’t have angry customers banging on it to cough up the product they had paid for. Its energy rating of A means you won’t get sleepless nights about the steep electricity bills you will need to pay. You have the Rondo vending machines which boasts of a double glazed laminated display window too and an awesome 400 product capacity and optic delivery sensors to assure smooth delivery. This is a dual temperature snack and drink vending machine with separated component and product areas to avoid temperature changes during cash/data collection. You save 10 cm of floor space since the front-mounted heat outlet allows machine to be placed against a wall. There is good news for those who need a commercial coffee machine but don’t want to be tied into a lease. At Kenco our rentals start at 6 months and can last as long as you like with us providing full service cover throughout the rental period. This option is great for a new business just starting out with serving coffee. You can upgrade easily and change the machine if required with just a little notice. If you want to rent a coffee machine, it really couldn’t be easier! We have coffee machines to suit every need. Making the right choice of coffee machine for your catering environment could not be easier. Our extensive experience in supplying the catering industry with appropriate vending and beverage equipment means that you get our expert advice in addition to a top quality commercial coffee machine. Coffee machines can be purchased out-right, leased or rent. You can get the most considerate terms for rental of coffee machines. Ask yourself whether you need to be making other purchases in the next few years that will considerable outlay of money. If so, then you shouldn’t tie up all your available cash. Just remember that most coffee equipment need replacement every 3-5 years. So why keep outlaying money on assets that devalue? Once you have spent the money it is gone. Catering equipment is not like a house or a car. It would be virtually impossible to sell them and generate money off them if ever needed. Leasing enables you to save your cash for other purchases such as new stock, staff training, advertising, new business opportunities and unexpected happenings. When you take equipment on lease, we can come in take the old equipment out and replace it with brand new equipment at the end of the term but you still pay the same monthly amount. We roll in the warranty and service package for the entire term of the agreement. You are assured peace of mind that your equipment will be looked after. Do you pay your chef/staff five years’ salary at the start of the contract? Why do the same for equipment? Simply pay as you use and earn from it. After all, catering equipment has seen more advances in technology and application than most other consumer goods. You stand to benefit from such advancements since you always have the option of upgrading to a different model when you take a coffee machine on lease. Enjoying your favorite drinks has just got easier. You have a choice of getting in-cup hot drinks as well as brewing your kind of coffee fresh in the bean-to-cup coffee machines. Since these use the latest technology and the finest ingredients, you are assured quality and satisfaction with every sip. The Ferrara is a beautifully designed machine which looks great on the outside and performs just as well on the inside. You can have real espresso and fresh-brew coffee/tea to make your favorite drinks, whilst innovative and easy-to-use touch screen technology lets you create the perfect cup the way you like it. This stylish coffee machine is not meant to be hidden in the kitchen. It is designed to re-energize coffee breaks in your workplace since it can cater to all tastes. You have the option of choosing from different coffee types. Take a call on whether you want to use fresh beans to roast and grind them to your taste or whether you prefer to use roast and ground beans for your machine. Again, you have the option of choosing between non-certified and certified beans. We at Kenco understand our customers and try to budget for every kind of taste and preference. This includes using 100% Arabica beans. All the beans for the roast and ground range of Kenco Westminster Medium Roast, Kenco Sustainable Development Medium Dark Roast and Kenco Italia Dark Roast are sourced from Rainforest Alliance Certified™ farms. To earn the Rainforest Alliance Certified™ seal, farms must eliminate the use of the most dangerous pesticides, and reduce water pollution and soil erosion. It is on these farms that Kenco’s Arabica coffee cherries are carefully grown and then harvested once they are fully mature. In consonance with our environmental responsibility we help you meet your sustainable goals. After all, the Ferrara comes with A+ energy rating (EVA EMP protocol). You don’t have to be restricted to drinking just coffee. You can now enjoy a great cup of tea, made from leaf tea infused in our leaf tea brewer. This eliminates the need for tea bags which end up cluttering up your kitchen. Just take a call on whether you want to take a look at one of the bean-to-cup coffee machines on test or an instant bean-to-cup coffee machine like the K Bar bean-to-cup coffee machine which gives you an option of 16 hot and cold specialty drinks. Commercial coffee machines can be seen in action far more often than you realize. Seen those sleek tabletop coffee machines? Chances are that at least one of them is a commercial coffee machine. For example, the table top Kenco Singles Brewer is a perfect hot drinks solution for businesses who want a quality drink, with minimal cleaning required. Commercial machines have more powerful heaters, larger water tanks and deliver higher pressure and constant, regulated pressure one can rely on compared to machines meant for domestic use. They are designed to make the perfect cup of coffee, yet are truly rugged. Some of the main features to look for in this superb machine include a push button indicator light and semi automatic operation. The fully removable water tank is powered by an electro-pump which boasts of a separate control switch and electro-valve. It has a hot water tap and a flexible steam jet enabling you to brew specialty coffees. The automatic boiler water level control ensures you never run out of water while brewing. The Sienna is one of the top of the line table top office coffee machines. It provides an array of drinks selections including Kenco white coffee, black coffee, cappuccino, latte, mocha and Suchard hot chocolate. 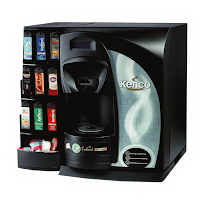 Operated using a single button and an easy to ready display, the Kenco branding ensures your staff and customers are getting a quality drink. Some of the better known floor standing office coffee machines are the Style 5, Refresh 1400, Kenco K Bar 18 etc. The K Bar is a fully automatic floor standing vending machine with 16 different hot or hot and chilled drink options and an internal sugar dispenser. 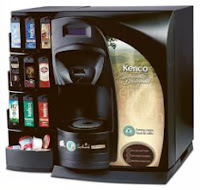 It can vend a wide range of high quality in-cup drinks and has a 1200 cup capacity. The full range of payment options available, e.g., free vend, coins, token and cashless, make it ideal in the kind of setting where you have a high daily demand. Add to that, it is extremely simple and easy to operate. On the other hand, the Style 5 combines the very latest technology with the well proven and accepted ‘traditional’ semi-automatic machine format. It has a well earned reputation for reliability and is very easy to use and maintain. It has a capacity of up to 500 incup drinks and 5 selections, with a full change giving coin mechanism. There are many local businesses which choose to align themselves with Kenco. We are among them. Given that they have the most complete range of hot drinks ingredient solutions in the industry and tremendous experience and understanding of the market place, consequently we believe that there really isn’t a brand to rival them. Add to that, you can always expect to find the latest range of vending machines when you deal with them. With their help we are ensuring that traditional vending machines are being replaced, giving workers healthier choices. The new touch screen solution for vending machines is proving to be both users friendly and popular by enhancing the user experience. The Astro vending machine supports cashless and mobile payment acceptance. This is changing the workplace cafeteria since you can dispense a great range of products including coffee, cold drinks, snacks and water. Kenco prides itself on ensuring your business is best equipped to deal with the demands of the day to day working environment. They achieve this by providing the latest equipment and quality ingredients for your machines, in addition to technical support for all your equipment. The merchant snacks vending machines can vend both snacks and cold drinks. There is the advantage that they have a full change giving coin mechanism. The Snakky vending machines are stylish and have a contemporary design. Its vend detector system ensures trouble free dispensing. The Rondo snacks vending machine is a large capacity machine. The ergonomic delivery bin makes for easier collection of vended items. Best of all, we don’t need to worry about filling and cleaning the vending machines since that is taken care of by Kenco. Attention to detail and quality is combined with the best equipment in the market. When you install one of the latest combo vending machines, your business is far less likely to lose significant work time to constant coffee breaks and trips down to the drug store or local eatery. Over the years we have been delighted with the consistently high quality that they have delivered as they use only the best quality Arabica beans in their products. If you need to stock snacks, you’re never short of choice. From Cadburys Dairy Milk, Nestle Kit Kat and Mars Galaxy to flap jacks, chocolate shortbread and healthier options including Nutri Grain Bars, these machines have a great selection of snacks. 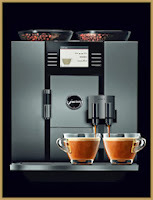 When you get a Jura bean to cup coffee machine you are ensuring that you don’t need to hang out in coffee shops again. We at Kenco offer you numerous models of Jura coffee machines because we understand that Jura is synonymous with style, elegance and cutting edge technology. Some of the models on offer are the Jura Impressa X9, Jura Impressa XS90, Jura GIGA X5, Jura GIGA X7 etc. These dazzling new designs are complete with an array of new intelligent gizmos. Footprint is the least of your problems since it is one the slimmest one touch automatic specialty coffee machines. This makes it perfectly suited to small homes and discerning homemakers. It will cost more than machines that make coffee from ready ground beans, but you will notice the difference, especially when that delicious smell infuses your kitchen every morning. Just consider the capabilities of the equipment. Jura serves latte macchiato and cappuccino at the touch of a button. Clearly arranged buttons make the task of preparing specialties ultra easy. The whole process can be fascinating to watch and the brew is something special. As for the froth delivered it is fantastic: creamy, no spluttering and aesthetically beautiful. On the other hand, if you are using your Jura coffee machine at a commercial outlet, then the flavor and tantalizing aroma of fresh coffee will be something that your customers will find irresistible. Whether you opt for a Jura Giga X9 or a Jura Giga X7, its stylistic-feature-packed design, has integrated rinse, clean and decalcification programmers. It is destined to pave the way for a new generation of office coffee machines bringing an easy and versatile coffee solution to your workplace. Its fast heating ensures hot coffee from the first cup. The former can dispense up to 180 cups daily, while the latter dispenses up to 150 cups daily. The feather-light consistency helps keep spirits up during cold snaps and soothes work-frazzled nerves. More and more businesses are learning about top quality machines and the company behind them. Kenco is a company that is committed to environmentally sustainable coffee that tastes great and is easy to produce. The results can be far reaching. The coffee vending machines of today offer larger cups of coffee than the older models. The improved thermal and brewing systems in these coin-operated vending machines translate into a better cup of coffee for your customers’ money.